In this tutorial I will show how to optimize the space used by databases. 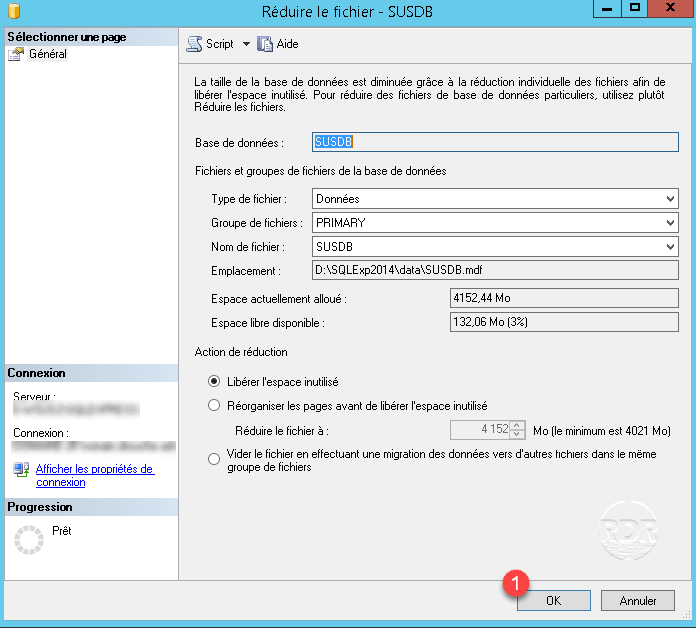 On files: reducing the size of the files on the disk. It is recommended that you perform these operations after deleting a large amount of data. 1. 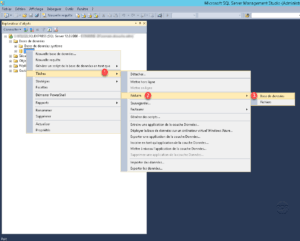 Connect to the server with SQL Server Management Studio. 2. Right-click on the database to click Tasks 1 / Minimize 2 / Database 3 . 3. We can see the space that will be released 1 . Click OK 2 to start the optimization. 4. Waiting during the process, once finished, the window will close. 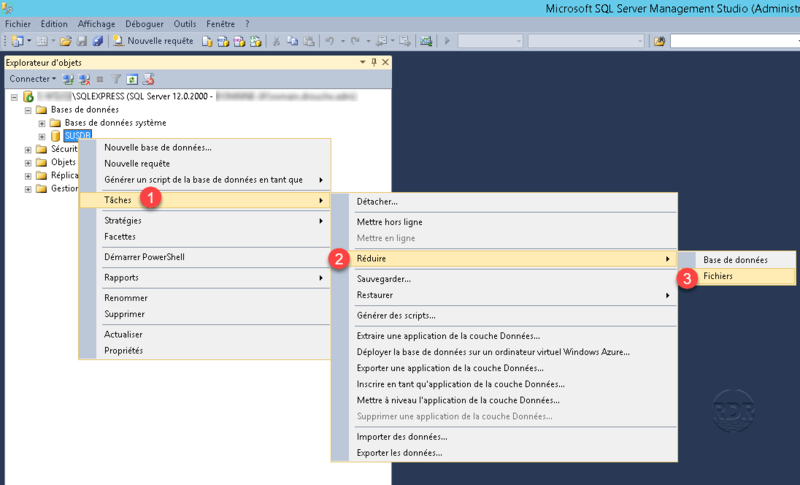 As for the size of the database, the operation is to do with SSMS. 1. Right-click on the base to click on Tasks 1 / Minimize 2 / Files 3 . 2. As for the database, we can see the gain. Click OK to reduce the size of the files.